The amounts of the main ingredients are not ‘carved in stone’ and you can vary the ratios as you see fit. I tend to use a ratio of 2 parts chili to one part each of the garlic and ginger as I think of this as more of a Chili paste that just happens to have garlic and ginger added. 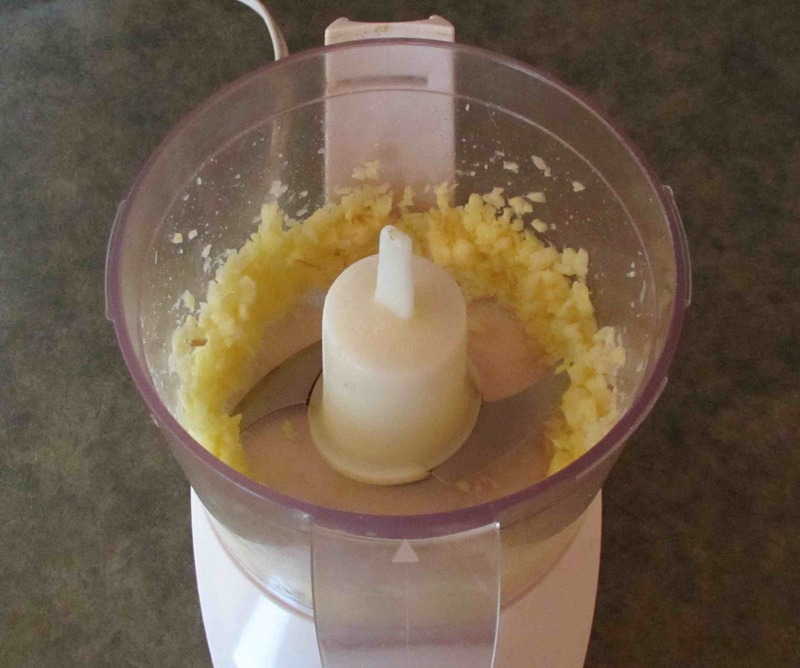 I always have garlic and ginger paste on hand anyway, so, if necessary, I can add a little more of these to the basic blend depending on the intended use. As for the salt, a good rule of thumb is to add from ½ to 1 teaspoon for each cup of the combined main ingredients. A little more is better from the point of view of extending the ‘shelf’ life, but this will make it quite salty and you will need to bear this in mind and adjust for salt in any preparations that use the paste. Many recipes add a little vinegar for preservation but I prefer to avoid this as it limits the versatility a little. The oil called for above is about right for the quantity of main ingredients used, but all you really need to remember is to just add enough to the mix while you are processing it so that a nice smooth paste is obtained. The sugar can be omitted, if you prefer, but a small amount works nicely I find, and it helps cut any bitterness from the chilli. 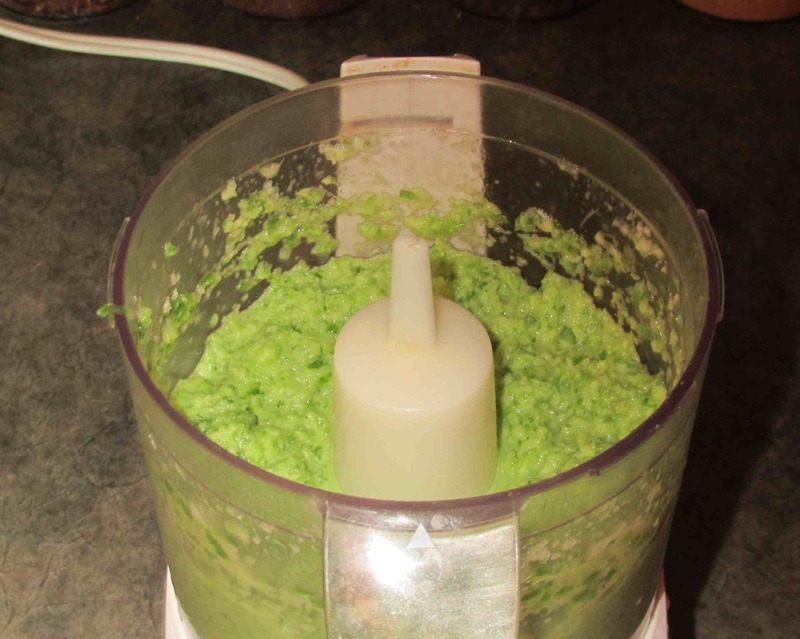 First, add the chopped ginger, the salt, and the sugar (if using) into your food processor and give it a good ‘whizzing’. The ginger needs a bit of a head start over the other main ingredients and the salt and sugar will provide a bit of an abrasive quality to help it process smoothly. Now add the Chili and Ginger and continue to blend. Add the oil, a tablespoon or so at a time, until the paste is nice and smooth. To be honest, this paste is so versatile that it would be just about impossible to try and list all the possible uses. In Indian cookery, the paste is often the starting point for complex blends and it is useful as a marinade, sauce base and a rub for meat or seafood prior to grilling. In fact, if you would like to see what this paste is like in a very simple preparation, try rubbing just a little into chicken drumsticks (slashing the skin first to help the flavors penetrate), and then let them sit for several hours before popping them on the grill. The result will be delicious. Finally back after my internet problems! Ooh, this is a must make John! This sounds wonderful and I can’t wait to give it a try. Thanks for sharing. Yummy, yummy! 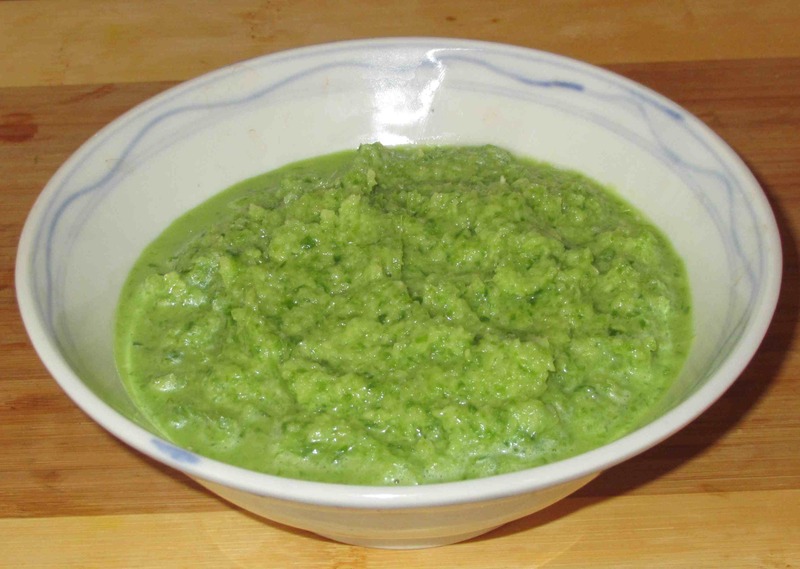 Ginger-garlic paste is such a staple. Never thought of adding chilis to it before, but it’s brilliant! Now why didn’t I think of this? 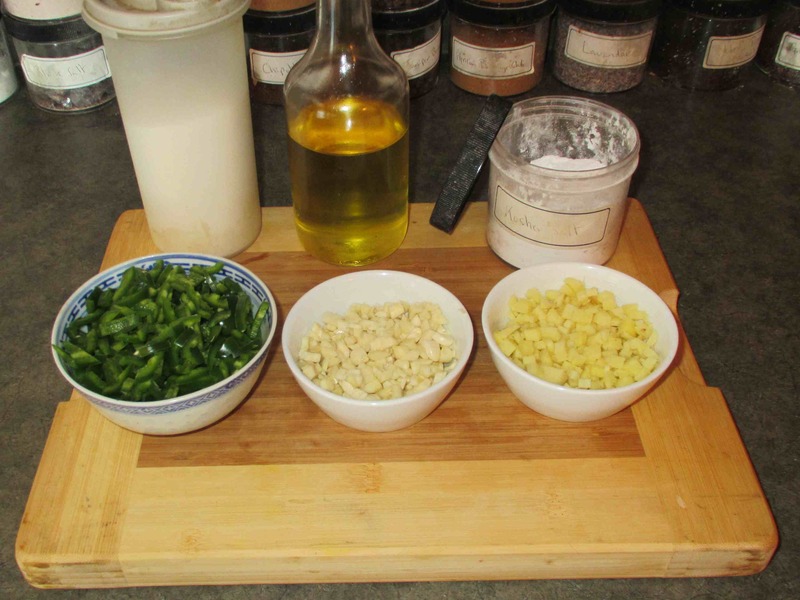 I already do this just with garlic and ginger, I never thought to add chilies to the mix. But thanks to you, I will do this next time! Oh yum! 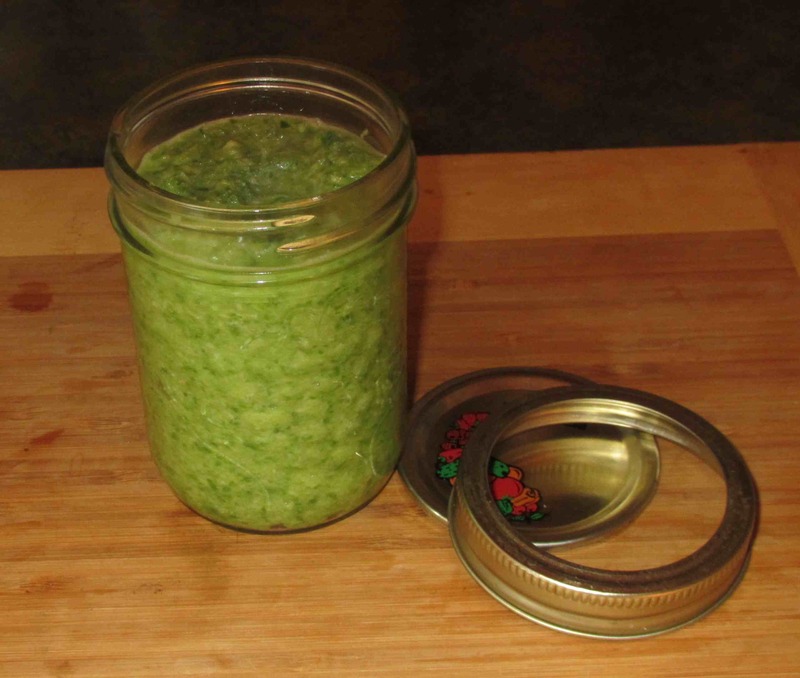 Making a garlic/ginger paste has been so useful for me! It lasts forever and is always handy. Adding peppers is a great idea! WOW!!! that’s all I can say … WOW!!! So simple… but SO useful!! Not only a useful ingredient to have in the refrigerator but a great color as well. The color keeps quite well too! Yum! This combines some of my favorite flavors and sounds like it would be a delicious addition to so many foods. Thanks for sharing! This looks wonderful! I could see us putting this into SO MUCH STUFF! Absolutely … and you could actually make a few different versions with other spices or ingredients if there are certain blends you find yourself using frequently.